Ah! The golden days of CB radio. We (five spotty teenagers) would huddle in our mate’s car and shout “breaker breaker” into the mic and get told to b***er off by old hands. We never figured out why. But we thought we'd stand much more of a chance of ruling the ether if we got one of those funny echoey units that make it sound like you’re Satan standing at the bottom of a well in a large, wet cave. Yep, reverb was Citizens' Band king. Roll on 25 years (and the rest) and reverb plugins abound, but none, I repeat none, have a single knob that says 'sound more like Satan gazing upward with a wet bum'. Nah, these days you need a good reverb or four and they all have dials tagged with such arcane functions as ‘pre delay’, ‘diffusion’ and ‘make it sloshy’. Like most of Groove 3’s presenters, Eli is a man chosen because he knows his subject matter, rather than because he’s someone who spent five years at the College for Slick Presenters. I prefer this ‘regular guy just talking to me’ approach over some videos I've seen in which they got professionals in for the voice-over. It feels like the difference between a reporter in the field as opposed to an anchorman or woman in the studio. Eli knows his stuff alright but it’s also very clear that he has given a lot of smart thought over how he’ll present the information. I mean, diagrams? I think this is the first Groove 3 video I’ve seen that has a PowerPoint presentation thrown in to explain the concepts. It’s no ‘multi-coloured fades and videos of dancing girls’ number - it gets clearly to the point. Eli wastes no time, getting stuck right in during the first six minutes saying what reverb is and what makes up its different aspects. That’s all the theory you need to start making head and tail of all those intimidating dials that festoon the interface of [insert your chosen intimidating reverb plugin here]. Despite Eli’s Apple certification in Logic, the series has been captured using Avid Pro Tools. However, the material sits just as well with any flavour of DAW and is applicable to any reasonably fully featured reverb plugin. Once we have theory under our belts, we get the perfect vehicle for practical demonstration of the concepts we’ll hear about. It’s a song with plenty of tracks of all kinds; main and backing vocals, guitars, drums, pads, bass and so forth. In short, everything most of us will be dealing with. The same track is used in different ways through the videos and Eli doesn't just stick to reverb in isolation. EQ, compression and expansion are all used the way a producer would use them, with reverb applied in a variety of ways. 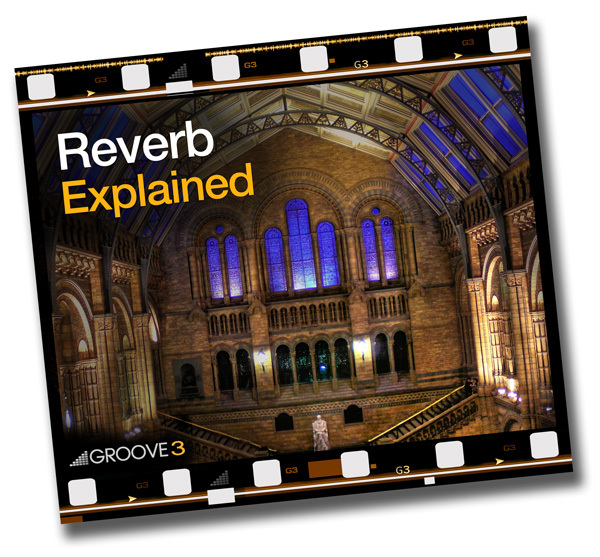 It becomes less a reverb tutorial from a producer and more a production tutorial about reverb, which I find to be eminently practical. It's one of those series in which you finish one video and can't wait to click on the next to see what else there is to learn. Reverb Explained moves through creating a single space, treating drums, working with guitars and vocals, and rounds off with some reverb special effects like reverse reverb, which I already knew about, but was taken one step further in how it could be used. This is a set of videos I should have had 10 years and around a grand’s worth of expensive reverbs ago. There's no way it can cover everything because it's such a large subject, but Eli both demystifies what those dials on reverb units are and gives a good grounding in using them in a practical manner. He's even so good as to mention at the end that these days, reverb is used much more sparingly than in previous decades. So save yourself some money and do’'t buy that next ‘sprinkle it in ambient fairy dust’, latest, greatest, spaceyist-whatnot. Invest in your skill set instead. Buy this.